To sign up for future Resist & Win calls, RSVP with the number you'd like us to dial for the calls. Please listen, look, share, and discuss our previous Ready to Resist and Resist & Win national organizing calls. Together, we will put it all into action! Watch the November 4, 2018 Facebook live video here. Download the slideshow here (PDF). MoveOn is committed to accessibility. Download the transcript here (PDF). Watch the October 28, 2018 Facebook live video here. MoveOn is committed to accessibility. Download the transcript of the call here. Watch the October 14, 2018 Facebook live video (slides + audio) here. MoveOn is committed to accessibility. Download the call transcript here (PDF). Watch the October 7, 2018 Facebook live video (slides + audio) here. Watch the September 23 Facebook live video (slides + audio) here. MoveOn is committed to accessibility. Download the transcript of the audio here (PDF). Watch the September 16 Facebook live video (slides + audio) here. MoveOn is committed to accessibility. Download the transcript of the call here (PDF). Download the June 10, 2018 slideshow here (PDF). MoveOn is committed to accessibility. Download the transcript here. Watch the April 22 Facebook live video (slides + audio) here. Alexandra Flores-Quilty from the Civil Resistance Campaign. Download the April 22, 2018 slideshow here (PDF). Cristina Jiménez, executive director of United We Dream, called in from Washington D.C. with an urgent update and call to action about negotiations in Congress over the Dream Act and the government shutdown, and the grassroots power that Dreamers have built with ally support. Mari Urbina, political director at Indivisible, honed in on how we can hold Democrats and Republicans alike accountable to pass a clean Dream Act. Nelini Stamp, organizing director at Working Families Party, provided a landscape of action for 2018, including the push for a progressive Millions of Jobs program as a counterweight to Trump's infrastructure scam, and how to create the blue wave this year by volunteering and working hard for your candidates. Nelini, a member of the Resistance Revival Chorus, also taught us an original song to sing and teach others at actions and events! Jennifer Wells with West Virginia Healthy Kids and Families Coalition described how she's recruited hundreds of people to peacefully protest the House and Senate GOP legislative convention in White Sulphur Springs, WV, next week. Jennifer Epps-Addison and Tracey Corder with the Center for Popular Democracy trained us in recruitment skills and role-played "making the ask", teaching us how to bring more people into our movement every day. Victoria Kaplan, organizing director at MoveOn.org, hosted the call. Watch the November 15 Facebook live video (slideshow + audio) here. Sen. Bernie Sanders broke down how the GOP tax scam would take away our health care, and transfer billions of dollars in wealth from middle-class and working-class families to already-wealthy millionaires, billionaires, and corporations; what the state of play is in Washington, D.C.; and real actions that we can all take where we live to stop this plan, just as we did with Trumpcare. Joni Bruner, volunteer organizer with Alaska Grassroots Alliance, reported out out from the Tax Rally & Hot Cocoa event that she led Tuesday in Anchorage to persuade her two Republican senators to reject the tax scam that will hurt Alaska residents. Ben Chin, political engagement director with Maine People's Alliance, connected the success last week of the Maine ballot measure to expand Medicaid in the state to resisting the GOP's continued assaults on our health care. Sunjeev Bery, campaign director with MoveOn.org, discussed actions that we can all take this month to stop the tax scam, now a return of Trumpcare. 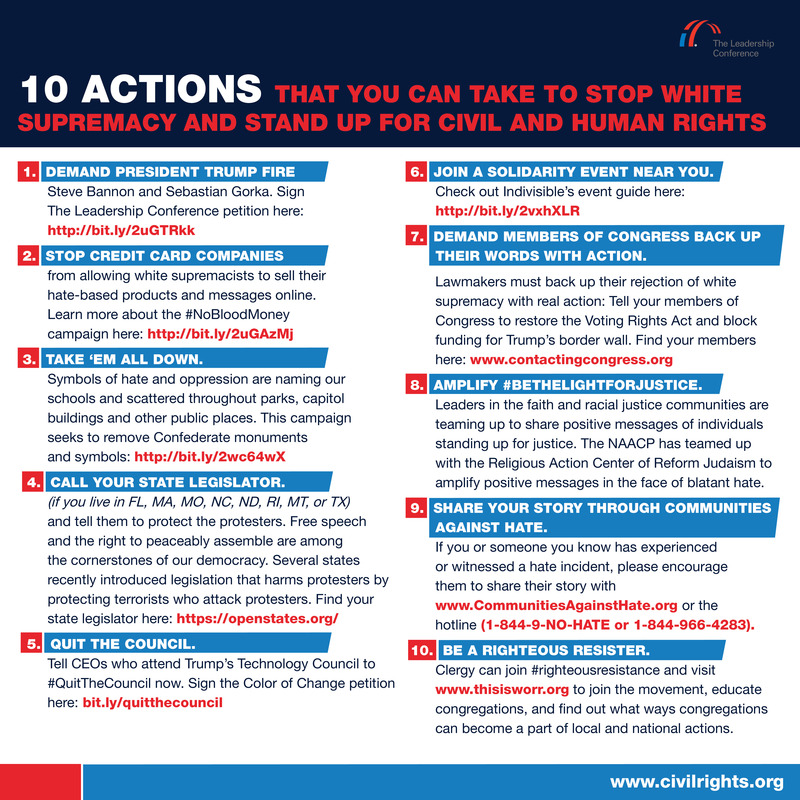 Join the Week of Action! Jennifer Epps-Addison, network president and co-executive director of the Center for Popular Democracy, hosted the call and lifted up the urgency of acting now to pass a clean Dream Act to protect 800,000 young people from deportation. Joe Dinkin, national campaigns director with the Working Families Party, led us in celebration of last week's tremendous election wins and walked us through how we won them and what they mean for the tax fight and 2018. Watch the August 20 Facebook live video (slideshow + audio) here. Download the August 20 slideshow here (PDF). Here's a simple facilitation guide to help you lead a discussion with friends and family after you listen to the call together. Mehrdad Azemun of People's Action moderated the conversation. Download the July 23 slideshow here (PDF). Ben Wikler, Washington director for MoveOn, delivered the third installment of his lively updates on the health care fight from the nation's capitol as we head into a crucial, possibly make-or-break week. Rusty Williams is a fourth-generation, lifelong resident of West Virginia and a leader with West Virginia Citizen Action. When he was diagnosed with cancer in 2012 and left without insurance, Rusty became active in advocating for patients' rights. Trump is headed to West Virginia Monday in a last-ditch effort to persuade Senator Shelley Moore Capito to support his disastrous health care plan, which would cripple the Medicaid program that 30% of West Virginians count on for health care. Rusty told the story of how West Virginians have effectively organized to stop Sen. Capito from taking away their health care. Mari Cordes, Marcia Dinkins, and Biola Jeje led a short training on how to hold members of Congress accountable for their votes during the upcoming monthlong August congressional recess. Mari Cordes has been a registered nurse for 30 years and is the former local union president of Vermont Federation of Nurses and Health Professionals and a founding board member of Rights and Democracy Vermont. Marcia Dinkins is the executive director of the Mahoning Valley Organizing Collaborative in Youngstown, Ohio. Biola Jeje is National Organizer with Resist Here, a project of the Working Families Organization. Jennifer Epps-Addison, President and Co-Executive Director of the Center for Popular Democracy, hosted the conversation. Download the June 11 slideshow here (PDF). Noah Bookbinder, executive director of Citizens for Responsibility and Ethics in Washington and a former federal corruption prosecutor, spoke to the very latest developments in the pursuit of the truth about Trump, from demanding an independent commission and tracking the work of Special Counsel Mueller to a new lawsuit taking on Trump's conflicts of interest. Margrete Strand Rangnes, executive vice president at Public Citizen, explored the actions we can all take to push Congress to initiate the public interest investigations we need in order to get the truth about Trump. Ben Wikler, Washington director for MoveOn, shared the latest on Republican efforts to pass a new, secret Trumpcare bill, and he'll share the game plan for defeating it before they rush it through the Senate. Mary Moreno, communications director with the Texas Organizing Project, and Jose Garza, executive director of the Workers Defense Project, shared their story of fighting state efforts to undermine sanctuary cities and discuss how we can all take action at home. Lindsay Farrell, director of the Connecticut Working Families Party shared how the Millions of Jobs coalition is pushing a progressive alternative to Trump's looming infrastructure scam. Anna Galland, executive director of MoveOn Civic Action, hosted the conversation. Sunday, April 30, 2017 - "100 Days of Resistance"
Download the April 30 slideshow here (PDF). Download the April 23 slideshow here (PDF). Amanda Johnson, Resist Here Director of the Working Families Party, moderated the call. Download the April 9 slideshow here (PDF). Dr. Zaher Sahloul, founder of American Relief Coalition for Syria, past president of Syrian American Medical Society, and past board member of Illinois Coalition for Immigrant and Refugee Rights, addressed the urgent crisis in Syria. Representative Barbara Lee, of California’s 13th Congressional District, spoke about the military escalation by Donald Trump in Syria and what a movement for peace and justice looks like in the Trump era. Representative Maxine Waters, of California's 43rd Congressional District, fired us up about the urgency of the moment, how our Resistance movement is building the drumbeat to investigate Trump and get hold of his taxes, and what we can do over the coming weeks to be heard by her colleagues in Congress. Nelini Stamp, National Membership Director of the Working Families Party and member of the National Tax March Organizing Committee, talked about the importance of the Tax Marches taking place across the country next Saturday, April 15, to demand Trump's Tax returns, and how to get involved in making them amazing. Beau Willimon, creator of the hit show "House of Cards," shared a view of the dark inner workings of Washington and why demanding transparency from Donald Trump and Congress is so crucial. Autumn Zemke, Co-Chair of the Carson City Working Families Party, shared her story about a successful Resistance Recess event her group organized recently, and share tips to supercharge Resistance Recess Round 2 actions. Jennifer Epps-Addison, Network President of the Center for Popular Democracy, moderated this Sunday's call. Download the April 2 slideshow here (PDF). Victoria Kaplan, MoveOn.org Organizing Director, hosted the call. Download the March 19 slideshow here (PDF). Reverend Dr. William Barber II, President and Senior Lecturer of Repairers of the Breach, motivated us around the moral imperative to reject Trumpcare and how to make our actions creative, non-violent, and powerful. Senator Jeff Merkley, U.S. Senator from Oregon, shared a glimpse into the fight to stop the right-wing takeover of the Supreme Court, and how we can get our senators to stop the confirmation of Neil Gorsuch. Victoria Kaplan, MoveOn.org Organizing Director, outlined the political battlefield on Trumpcare, and recap stories from the thousands of participants in this week's emergency Health Care Stakeouts. Erin Kramer, Executive Director of One Pennsylvania, and Elizabeth Lienesch, Organizing Director at TakeAction Minnesota, lead a training on getting creative with health care actions that will pop for the camera lens and our Congressional targets this week as Republicans aim to vote on repealing the Affordable Care Act on the anniversary of the day it was signed. Mehrdad Azemun, Campaign Director at People's Action, hosted the call. Download the March 12 slideshow here (PDF). See below for short videos of each presentation. Ben Wikler, MoveOn's Washington Director, laid out the 18-day strategy to save health care for millions, including what each of us can do where we live. Kelley Robinson, Organizing Director with Planned Parenthood, detailed what's at stake for women's health. Amaha Kassa, founder and Executive Director of African Communities Together, briefed us on Trump's latest attempt at a Muslim Ban and how we can resist it. Mark-Anthony Johnson, Director of Health and Wellness at Dignity and Power Now, led a training in sustaining the movement, sharing tips and tools for how we can care for ourselves and our communities to build this movement for the long haul. Amanda Johnson, National Digital Director at the Working Families Party, hosted the call. Download the Feb. 26 slideshow here (PDF). Paola Mendoza, Creative Director for the historic Women's March, provided a political update on another astonishing week. We heard stories of what worked from volunteer leaders at successful actions around the country. Nelini Stamp, National Membership Director with Working Families Party, rolled out the People's Address "Caserolazo" actions we can take this Tuesday as Trump prepares his first address to Congress. Hosted by Jennifer Epps-Addison, co-executive director of the Center for Popular Democracy. Download the Feb. 19 slide presentation here (PDF). See below for short videos of each presentation. Jeanette Vizguerra, fierce organizer and dedicated mother of four children, is an undocumented immigrant and has been fighting her deportation for years. This past week, she took sanctuary in a church in Denver in order to stay here and remain united with her family. Jezebel Jimenez, youth leader with Make the Road New Jersey, briefed us on how we can respond as a community to Trump's immigration sweeps. Ezra Levin, co-author of the Indivisible Guide and former congressional staffer, walked us through what to expect at town hall meetings, district office visits, and other recess events, and how to make the most of the opportunity, including at both Republicans' and Democrats' events. Kristin Moline and Costa Kokkinos two local leaders who have organized recent town hall actions with their members of Congress, shared their stories of success. Yong Jung Cho, co-founder of #AllofUs and former Campaign Coordinator with 350 Action, shared stories of successful interactions with elected officials that have led to substantive commitments and action. Rafael Shimunov, National Creative Director with the Working Families Party, regaled us with tips and ideas for making our own media. To subscribe to future Sunday Ready to Resist calls, RSVP here with the number you'd like us to dial for the calls. By signing up, you agree to receive a telephone call from MoveOn.org at the telephone number provided, to participate in the call on periodic Sundays at 8 p.m. ET (7 CT/6 MT/5 PT). Want to subscribe to all future Sunday night national calls? Yes, sign me up for this and future Sunday night Resist & Win calls. By signing up, I agree to receive a telephone call from MoveOn.org at the telephone number provided, to participate in the call on periodic Sundays at 7:30 p.m. ET (6:30 CT/5:30 MT/4:30 PT). We'll automatically call you only on the Sundays when we hold calls.